For this week’s blog we spoke with Michael Stevens, Fitness Together Providence Owner, and one of his Personal Trainers, Ian Lane. During our interview with Ian he shared how he got started in the health and fitness industry, and what makes Fitness Together unique. Ian started his professional journey as a strength coach his freshman year of college. We asked Ian to show us a “corrective exercise” – specifically how to do an overhead press the right way. Thank you to Ian and his client Robin, for providing us with some great insight on this exercise. Keep in mind, corrective exercise is the focus on correct movement and correct form. When you can isolate a movement or focus on correct form, you will get more benefit from that exercise and less risk of injury. 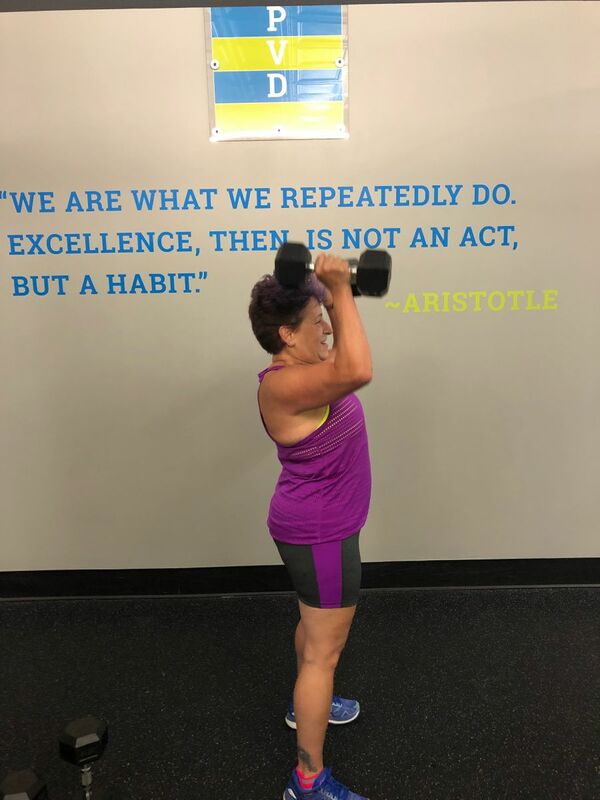 An overhead press is any movement where a weight is lifted onto the shoulders — be it a barbell, kettlebell, or small child — and then pressed straight up, in a direct line above the body. To perform the overhead press, one would begin with the weights racked on the shoulders, lift them straight overhead, locking the elbows out at the top, and then lowering them, under control, back to the shoulders. Is it safe for a beginner? Oftentimes, novice lifters do not feel comfortable lifting heavy weights overhead for fear of hitting their head or having a weight slip. For our clients, I always recommend starting out on an incline bench, with a lighter weight, so that, when they press overhead, the weight isn’t directly above their head. What are the benefits of an Overhead Press? The nice thing about the overhead press is that it is a compound exercise, meaning it influences more than one joint and incorporates many different muscles into one movement. To that end, due to the stabilization demands of maintaining a neutral spine and proper alignment - you can expect the overhead press to fatigue your shoulder muscles, upper chest, triceps, upper back and neck muscles. The overhead press is not a rehabilitation-specific exercise, per se, and, as such, is not often thought of in terms of correcting pain points. That said, it is a fabulous exercise for correcting strength imbalances in the overhead position — a position which is typically wrought with malalignment problems. Balancing out the overhead position in this way may aid in improving motor control in the core and mid-spine. How often should I do an Overhead Press? And is there a weight requirement? You could feasibly perform this exercise 2-3x per week to maximize results. If your goals are to build muscle, you might cycle this out with other shoulder exercises to incorporate more variety but keep the frequency about 2-4x per week. Weight selection is always an individualized affair, depending on your training level and your current phase of training. 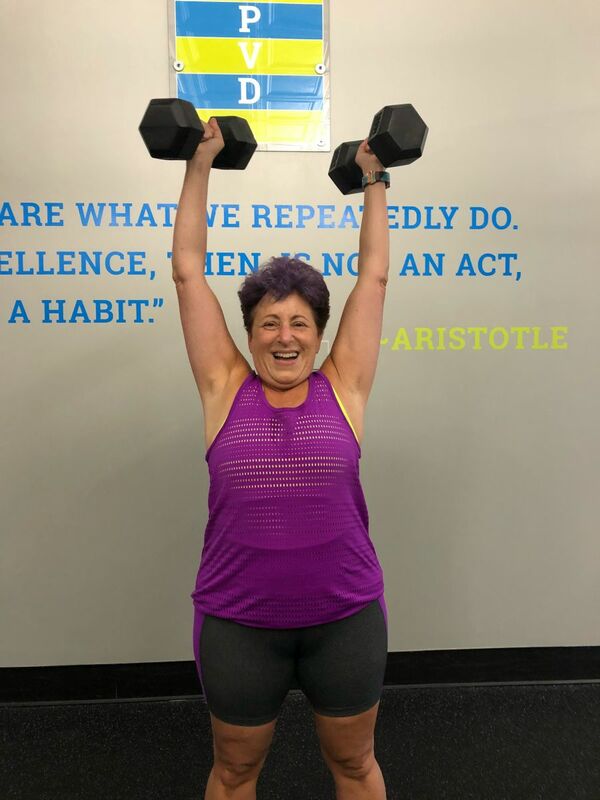 Your Fitness Together coach will guide you in selecting a starting weight, based on your fitness level and program development, which almost invariably begins by erring on the lighter side and slowly increasing over time. What do you enjoy about Fitness Together? 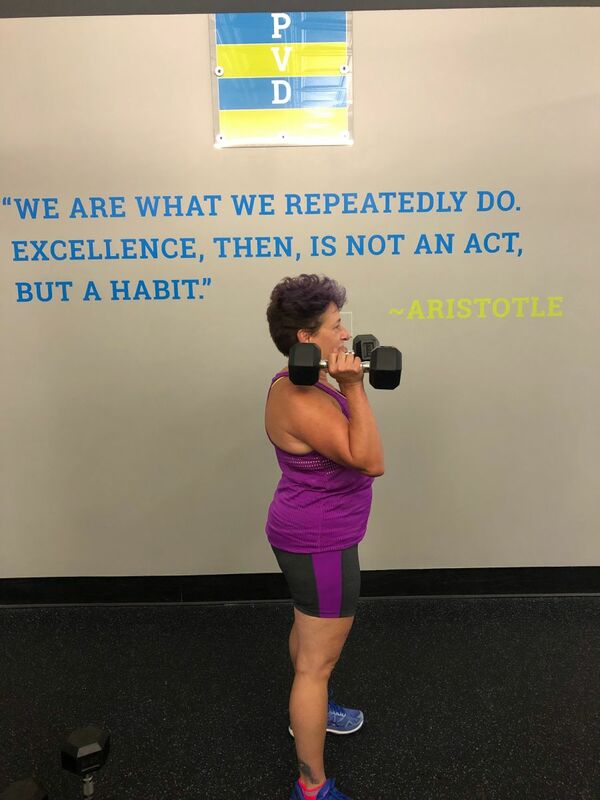 There are a lot of things to enjoy about being a Fitness Together health coach and personal trainer, but my favorite aspect of this job is the relationship I have with my colleagues, who are each so individually knowledgeable. They push me to consistently learn and improve my abilities, so I can continue to help our clients. When you train with Fitness Together, you are getting the most up-to-date, evidence-based training and nutrition information pertinent to your fitness and performance. It is precisely this focus on the effective and efficient translation of evidence-based fitness and nutrition practices which differentiates our business from all others. We are solely interested in facilitating your results, and we have a fabulous 20-year track record of doing so. If you want to connect with Ian or Michael and his Fitness Together Providence team you can keep up with them on their website and Facebook. We hope you enjoyed this interview with Michael and Ian! What’s holding you back from living a healthier life? Visit Fitness Together to learn more about our private, personalized, training and nutrition.